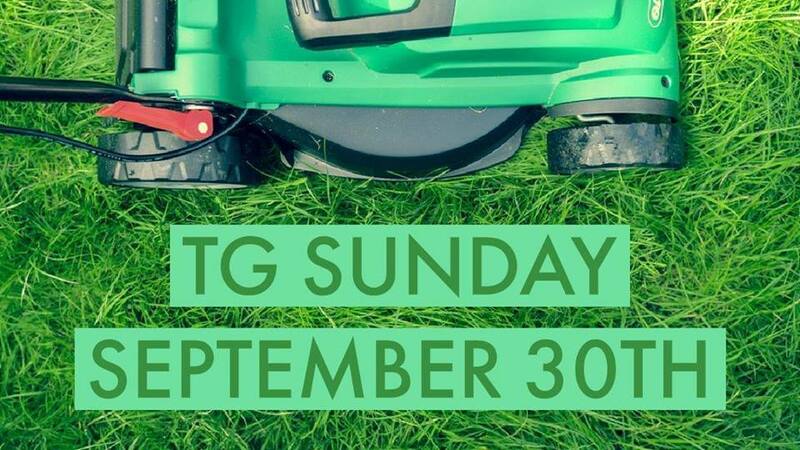 Mark your calendars for TGSunday on September 30! On the fifth Sunday of the month, we gather together to worship while we serve our community. For this TGSunday, we will be working with the Live. Love. Allen., a program through the City of Allen. Live. Love. Allen. helps those in the community that are physically unable to bring their landscaping up to code do so through the time and effort of volunteers. For those would prefer to not do manual labor, we will be making fleece knot blankets for the homeless at the church. To make sure we can make enough blankets, please consider donating 2 or more yards of fleece. Come join us as we work to show God’s tangible love for the community around us! We serve because He first loved and served us. Our goal with TGSundays is to not only be Tangible Grace to the community around us but also be a catalyst for mercy to grow in our own lives. Our prayer is that the Spirit would help us see opportunities to love and serve others in the days and weeks between TGSundays.